Image courtesy AARP on Twitter. AARP launched a new travel website this week called AARP Travel designed to help users create their dream itinerary. With personalized trip planning tools, website visitors can plan the type of trips they want, get travel tips from travel expert and AARP Travel Ambassador Samantha Brown, and read hundreds of articles and information on enticing worldwide destinations. "I travel for a living, and on any given trip, most of the fellow travelers I meet are older," Brown said. "People tell me how much they love the effect travel has on their lives, health, and relationships, but they're not in love with the sometimes confusing do-it-yourself research and planning process. With AARP Travel, they'll have an easy-to-use resource to seize the trip and have fun in the process." AARP Travel's range of travel tools and features include Trip Finder, an interactive, visual series of questions to deliver ideas and recommendations for destinations; Map Explorer, a detailed street-level interactive map that includes attractions, restaurants, hotels, local color and reviews; My Trips, a personal page where users can save and organize trip ideas, itineraries and related articles in one place and add to or edit them over multiple visits; Articles and Destinations; travel tips from Brown; articles geared toward travelers 50 years of age and older; information about hundreds of domestic and international locations; and Book Trips, booking tools provided through AARP's relationships with Expedia and Liberty Travel that give members access to discounts. "The features we've launched today, along with new content and tools we'll add to AARP Travel as the service grows, reflect the simplicity, ease of use and convenience people want all under one roof," said Sami Hassanyeh, chief digital officer for AARP. "Whether it's a weekend family trip or the vacation of a lifetime, we want to enable people to travel intelligently, enjoyably and economically, anywhere and anytime." According to AARP, research shows that travel ranks as the top aspiration for people 50 years of age and older, and according to analysis of U.S. Bureau of Labor Statistics data, the demographic spends more than $120 billion per year on personal travel. Through new research conducted on the travel habits of people 50-plus, AARP found a number of interesting tidbits. For one, Americans in the demographic take about six overnight trips unrelated to business (at least 50 miles from home) per year. 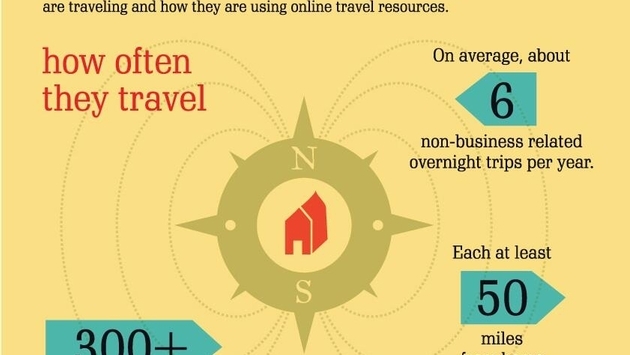 They also spend about 30–36 hours per year planning personal trips online, but prefer to spend about 12–18 hours planning. On top of that, it takes them roughly 18 hours per year booking personal travel, but they would prefer to spend about 12 hours per year booking. "Through our new online travel study and conversations with our members, we understand what the 50+ traveler is looking for — and looking to avoid," said Stephanie Miles, vice president of member value for AARP. "The 50-plus are looking to enjoy all aspects of travel. Currently, the market is fragmented, and people have to open multiple sites at once just to plan a trip. We built AARP Travel to make travel fun and easy with the tools, information and offerings needed. We want the 50-plus make the most of every moment and every dollar." For more information about AARP's research on online travel planning and what people 50-plus are doing online, click here.